Christoph Bachhuber is Associate Faculty Member in the Faculty of Oriental Studies at the University of Oxford. He received his doctorate from St. John’s College, University of Oxford in 2008, and has since held research and teaching positions at the British Institute at Ankara, the University of Oxford, and the Joukowsky Institute for Archaeology and the Ancient World at Brown University. Citadel and Cemetery in Early Bronze Age Anatolia is the first synthetic and interpretive monograph on the region and time period (ca. 3000-2200 BCE). The book organizes this vast, dense and often obscure archaeological corpus into thematic chapters, and isolates three primary contexts for analysis: the settlements and households of villages, the cemeteries of villages, and the monumental citadels of agrarian elites. The book is a study of contrasts between the social logic and ideological/ritual panoply of villages and citadels. The material culture, social organization and social life of Early Bronze Age villages is not radically different from the farming settlements of earlier periods in Anatolia. On the other hand the monumental citadel is unprecedented; the material culture of the Early Bronze Age citadel informs the beginning of a long era in Anatolia, defined by the existence of an agrarian elite who exaggerated inequality and the degree of separation from those who did not live on citadels. This is a study of the ascendance of the citadel ca. 2600 BCE, and related consequences for villages in Early Bronze Age Anatolia. Chapter 1 introduces the geographical and chronological scope of the study, and examines previous research on the topic through a discussion of four Early Bronze Age ‘proto-histories’ (of Troy, Alacahöyük, Kültepe, and Indo-Europeans). The discussion is critical of the historicist approaches that have shaped current understanding of the Early Bronze Age in Anatolia, and introduces a political-economic and anthropological framework to arrive at a synthetic and more holistic understanding of this region and time period. Chapter 2 examines how Early Bronze Age settlements and societies interacted with the landscapes they inhabited. It presents an overview of subsistence economies, palaeoenvironmental data, settlement patterns, metallurgical industries, and other potential activities that could have had anthropogenic impacts on landscapes. The discussion considers the impacts caused by the demands of agriculture, horticulture, pastoralism and timber. Unprecedented crowding of mixed-farming settlements in alluvial plains was a cause and effect of these impacts. Chapter 2 ends with a case study that focuses on the citadel of EBA Troy in its regional and landscape setting, and begin to consider the ascendance of citadel elites within these environmental and demographic contexts. Chapter 4 addresses the relationship between the living and the dead through two dominant interpretive concerns: (1) secondary interment activities and related ideologies, and (2) the consumption of wealth. The human remains of the dead were a significant presence and focus for veneration in these communities. Mortuary ritual united the living members of a village with the people of the past who had dwelt in the same village. Interaction with the dead reinforced social relationships within and between households and enforced a community’s historical claim to a landscape that had been farmed by people of their past. The chapter concludes with a discussion of the cemetery of Alacahöyük. The so-called ‘royal tombs’ represent a monumental expression of this ideology, but also a profound break or divergence from the social logic and ideology of villages. The construction of citadels formed part of a process of ‘elite place-making’. Chapter 5 distinguishes between two kinds of citadel: one based on a plan with an obvious architectural and spatial hierarchy that is focused on large, central buildings, and one that is less hierarchical or more crowded and sprawling. Each was governed by a particular social logic, but the representation of space on both kinds of citadel begins to reveal an ethos of inequality that differentiates a citadel from a village. Chapter 5 concludes with an interpretation of a dramatic transition at Troy, when the centripetal plan of Troy IIc-e was transformed into the town plan of Troy IIf–III. Chapter 6 examines how local farming productivity of citadels was administered and then converted into social capital, either as desirable things like textiles to display or exchange, or desirable things to consume during socially integrative events. The latter provided opportunities for the inhabitants of citadels to invest farming surplus into events that celebrated their hospitality, or their munificence. It is in such a context of ‘commensal politics’ that a specific repertoire of wheel-made pottery achieved its symbolic salience across Early Bronze Age Anatolia. Chapter 7 begins with a reassessment of the significance of trade, with an ultimate concern that the over-prioritization of evidence for ‘trade’ in the literature has distorted the significance of relevant objects and assemblages. The motivations to trade have been hardly considered. The discussion engages an actor-based approach by examining the benefits and the risks of an increasingly disproportionate investment in long-distance exchange networks. Chapter 7 places particular emphasis on relationships between the inhabitants of citadels that were mediated by gift-giving. This was one aspect of a ‘network strategy’ between exclusionary social elites, whose elevated and potentially vulnerable status required maintaining social and political relationships beyond a local and mundane sphere of socio-economic interaction. Chapter 8 offers an evaluation of the performance of wealth sacrifice and other spectacular rites on citadels, including cremation. Dedications in the form of burnt meat and metal objects are analogous with the gift-giving ethos examined in Chapter 7. The gift and the sacrificial dedication were both prestige-elevating expenditures of wealth that fostered relationships beyond the local and the mundane: one with distant elites and the other with the cosmological realm. Burning human remains was performed in a different ideological setting. But it was also a spectacular event, and like the sacrificial dedication, the spectacle of cremation represents a context where the inhabitants of citadels could commune with cosmological entities. Cremation practices on citadels reveal a social and ideological logic that was antithetic to the mortuary rites of villages, and to the cosmology of villages more generally. The book concludes in Chapter 9 with a critique of the two dominant approaches to social change: diffusionary historicism, which has had the greater influence on the Bronze Age in Anatolia, and universalist evolution, which has never secured a foothold. The interpretive framework of this study tilts towards the latter. This is because related considerations of political economy can offer more explanatory power and comprehensiveness than historicist approaches. But an evolutionary model fails to explain the largest trends in Bronze Age Anatolia, and, like historicism, it obscures the ultimate interest of this book: the social worlds of villages and citadels. A most welcome contribution not only to the archaeology of Anatolia, but also in terms of the distinct approach it features in assessing archaeological evidence within a defined geographical entity. Instead of following the conventional archaeological narrative of chronologies and typologies, the author presents his assessment of Early Bronze Age Anatolia by unscrambling the evidence into certain components. Certainly it is not the first work to draw a picture of the social life of a particular region, but it is one of the very few where the author has an excellent grasp of the evidence. Bachhuber is to be congratulated for putting together such a comprehensive synthesis of the available data, and for presenting it within a new theoretical framework. His command of the published data, especially Turkish publications, is exemplary. This book will certainly be widely read by scholars and graduate students working on the EBA of Anatolia – it will be an eye-opener that will inspire further discussion. 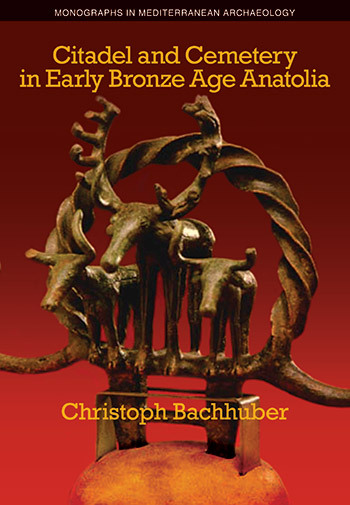 Bachhuber’s book and perspective present a much needed and greatly overdue effort on prioritizing synthetic narrative over descriptive approaches for the study of Bronze Age Anatolian archaeology. His emphasis on the constitution and negotiation of political power in the spectacles of the citadel and the cemetery is captivating. 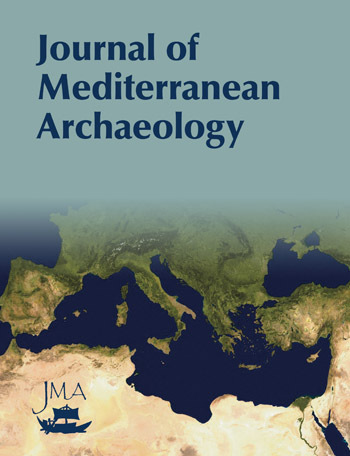 Citadel and Cemetery in Early Bronze Age Anatolia is a book that points in the right direction for eastern Mediterranean prehistory: leaving behind descriptive single-site narratives in favour of theoretically informed, thematic discussions deriving data from multiple sources. Bachhuber’s volume is an important synthetic study that evaluates an impressive range of material culture and textual evidence pertaining to a large but socioculturally coherent area. A major strength of Bachhuber’s approach is that he uses case studies and detailed examples to good effect, illustrating points that otherwise might remain abstract. The author has produced a substantial piece of scholarship that will undoubtedly prove valuable for subsequent studies on Early Bronze Age Anatolia. Furthermore, the inclusion of a wide variety of archaeological and textual evidence beyond the structure and locations of the citadels themselves provides a template for studies in other geographical regions and time periods focused on the broader social context of citadels. 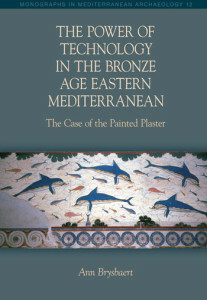 The book is clearly a useful and important contribution to the field of EBA archaeology. Its intended audience is English-speaking archaeologists working in Anatolia, and its synthetic structure makes it valuable also for those working in neighboring regions seeking comparanda. Overall, this comprehensive narrative synthesis is a positive contribution to the field.